I read a portion of a sermon earlier this week, from the Wednesday address of Pope Francis, and I could not help but associate it with a very particular face. It is the smile of hope. 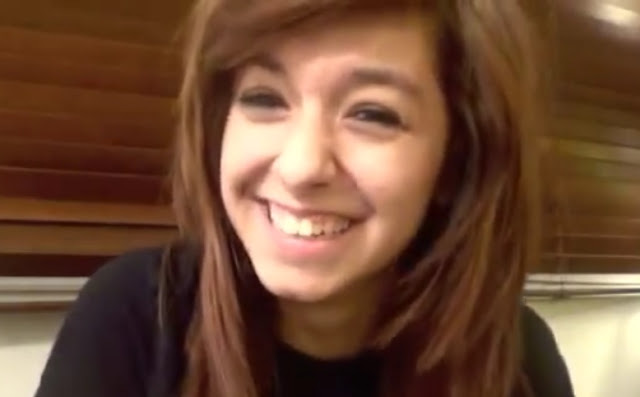 Christina Grimmie was murdered six months ago at the age of 22. But her face, her smile and her whole joy-filled, passionate personality have "written hope" into the hearts of countless people all over the world. The music and the incredible singing, of course, are the most obvious features of her enduring legacy as an artist. But people still seek out her smile, the natural, unselfconscious smile that flashes thousands of times on seven years of YouTube videos. What makes her smile so compelling? It communicates hope. It hints at a joy that cannot be killed, that endures beyond even the most incomprehensible violence because it comes from something greater than this whole world of brutality and evil and destruction. Christina did not have an easy life. She was a regular girl with all the ordinary problems of girls growing up. Throughout her own life, she also suffered for her mother who has been four times treated for cancer, who no one imagined would outlive her daughter (but who has lived to mourn and grieve and raise a heart-rending lament to God that still remains full of faith). Christina was a complex, vulnerable human being. She was a great artist--arguably the greatest pop vocalist of this generation--struggling to break through a corrupt music industry without compromising herself. She endured anxieties and disappointments, made mistakes and had failings. But she also had hope. "One of the first things that happens to those who drift away from God is that they are people without a smile. Perhaps they are capable of great laughter … a joke, a laugh … but the smile is missing. The smile gives hope: it is the smile of the hope of finding God. Life is often a desert: it is difficult to journey through it, but if we entrust ourselves to God it can become beautiful and wide as a highway. It is enough never to lose hope; it is enough to continue to believe, always, in spite of everything." It is enough never to lose hope; it is enough to continue to believe, always, in spite of everything. 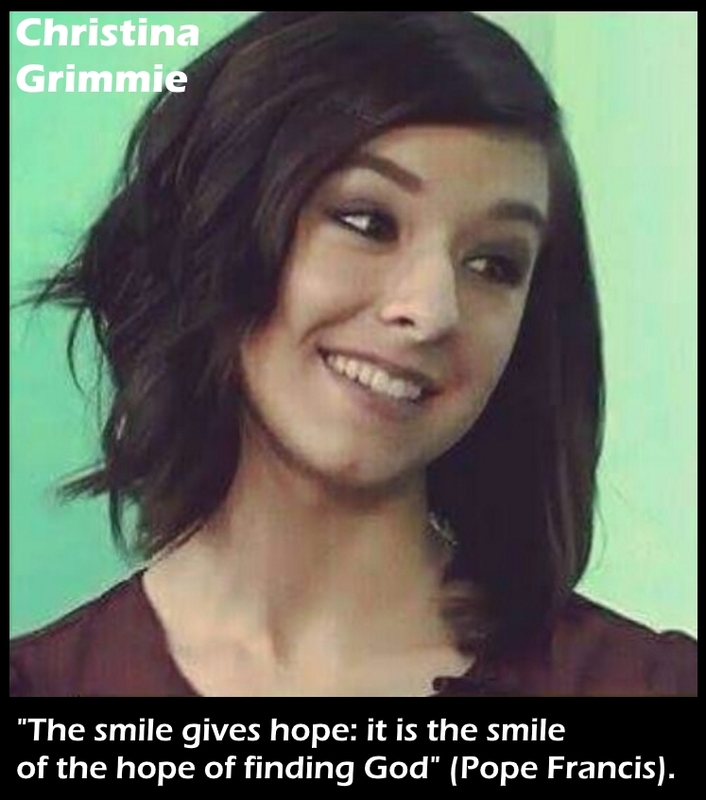 In a violent world, the smile of Christina Grimmie remains as an icon of hope.